Both gas powered and electronic golf carts are very fuel efficient methods of transportation. 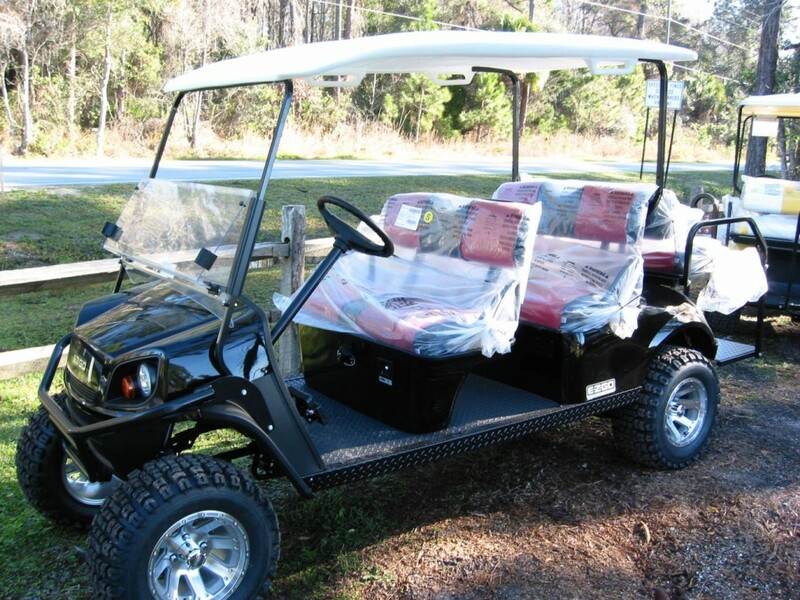 Both have their own benefits, so it is important to choose the type of golf cart that best suits your specific needs. Electronic golf carts are nearly silent and run off of a rechargeable battery, leaving virtually no carbon footprint and no oils of fuels to deal with. Today, gas powered golf carts are quieter and more fuel efficient than ever. While they are not as fuel efficient as their electronic cousins, they will give you more drive time than an electronic golf cart and will almost certainly save you more money on gas than your car can! There are so many ways that golf cars can save their owners money. Aside from being affordable to drive, they are affordable to buy. Additionally, golfers and their spouses have finally realized that they can not only traverse the golf course with their golf car, but also stop at the bank, grocery store or a restaurant without paying anything – or at least paying very little – for gas! Some couples find they can get by with one car and one golf car, instead of two cars. This is especially great for seniors, and golf cars have become so popular with seniors that many retirement communities have even made themselves more accommodating to golf car owners by converting their communities into cart-friendly communities, where everything is accessible by golf car! Gulf Atlantic in New Smyrna beach carries all the top lines and offers hundreds of options and accessories to create the perfect custom vehicle for your needs. If you have any questions, please feel free to stop by our convenient location on Pioneer Trail or call us at 386-427-9778.